Finished digging in our tent. Started on sergeants. Had lectures – How to Practice Invasion in co-operation with Navy and Airforce. Wrote in YMCA at night. Orchestra came and played. Went for swim. Finished digging in sergeants tent. Went for three swims. 10AM-2PM & 7PM. Wrote in YMCA at night. Paraded at 7AM. Marched down to Navy Headquarters to have first go at combined operations. Went out in whaler. Just did ??? operations. Marched back to camp for lunch and then returned in afternoon. Passed aerodrome with many bombers on ground. Navy have nice little place at Kabrit. Lovely green trees and plans. 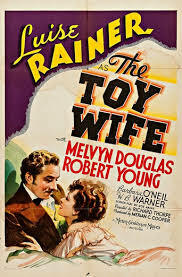 Went to pictures at night and saw “Toy Wife”. Did not see finish as air raid warning went and then camp had to have black out. Went again to Kabrit and ??? to ??? and practised invasion. Returned to camp then had afternoon off for rest. Went to YMCA at night. During night, Jerry bombed Ismailia. Could hear bombs pounding and guns firing. Reveille at 2AM. Paraded at 3AM. Marched down to Navy Camp and had a dawn invasion to ???. All went well and landed at 5.40. Got in a mess walking ashore up to our knees in water. Returned to Kabrit in boats then marched to camp. Had breakfast and then rest of day off. At night concert in picture theatre given by London artists came out to east to entertain troops. Good show. Some boys charged 3 ??? five minutes before show ended. Kicked up a noise and started to pull theatre to pieces breaking chairs and then ramming ??? through walls. Jerry bombed closed to our camp. Explosions rocked our tents. Very much so. I know that his brother Keith, who he has mentioned a few times, is killed in November of 1941. I also know anecdotally that my Grandfather gets shot, but not sure if its in the same battle or later in the war or anything about his injury. The diary appears to have over 1000 days of entries so its still early in his service. I do however know my grandfather survives – else I wouldn’t be here 🙂 When he mentions “Marg”, that’s my grandmother, who he came back to New Zealand and married after the war.